Current systems for ranking the best batsmen in test cricket have been bowled out by a new study. In a paper which could give sleepless night to cricket statisticians all over the world, researchers from Newcastle and Northumbria universities delivered their ‘out’ verdict to current methods after analysing the two most popular test cricket rankings. 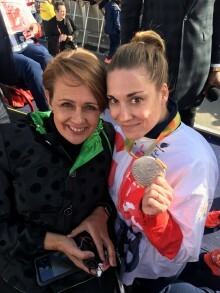 Guest-speaker Baroness Tanni Grey-Thompson DBE, 11-times Paralympic Gold Medal Winner &amp; Chancellor of Northumbria University, will reflect on Northumbria’s Paralympic success in Rio where we achieved six medals, including gold, in what proved to be Great Britain’s most prosperous Games since 1968.